The joys and pains of starting a teaching career often go undiscussed. 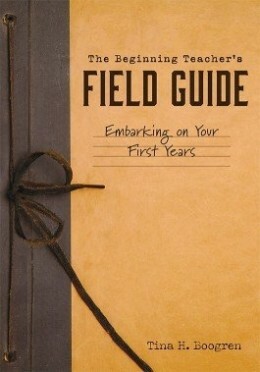 This field guide dives deep into the personal side of teaching, offering crucial advice, empathy, and new-teacher support. The author details six phases every new teacher goes through—anticipation, survival, disillusionment, rejuvenation, reflection, and second anticipation—and outlines targeted classroom-management strategies and self-care practices for each. Understand the feelings and teaching challenges of each phase during a beginning teacher’s career. Practice self-care to combat beginning and first-year teacher stress and burnout; avoid the mental pitfalls that so often lead to teachers changing careers. Learn effective classroom-management strategies for new teachers and how to maintain positive relationships with students. Respond to prompts that will help you process and reflect on your first years’ culmination. Utilize the prompts and journaling spaces throughout the book to reflect on your professional improvements and successes.